Are you planning on getting married anytime soon? Discussing money before marriage is something of an unofficial taboo, but it’s important to share your financial philosophies with your future spouse. Many marriages experience friction due to arguments regarding finances, so it’s worth being on the same page when it comes to money management. You should always know who you are marrying. You may be aware of a person’s personality, but it’s also important that you know how your financial outlook differs. 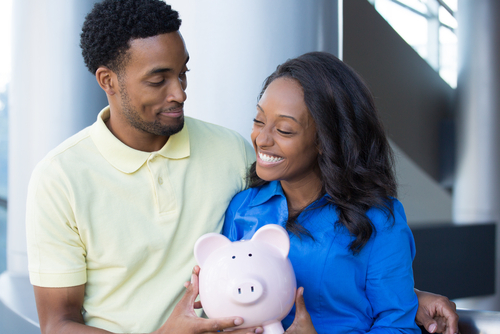 You may prefer to save as much as possible while your partner is more of a spender. Knowing this upfront can help prevent problems later on in the relationship. Decide on a bill plan. Your partner may prefer to take care of all the bills, you may prefer to keep receipts, establishing a mutually agreeable financial plan is key to avoiding money disagreements. You may also wish to plan ahead and consider updating your insurance plan or setting up a living will that lists your loved one as a beneficiary in the event of unforeseen circumstances. On that note, always be honest and speak kindly when discussing money issues. Your partner may not be as knowledgeable when it comes to proper money management as you are, so instead of pointing fingers, use the opportunity to grow and work together towards securing your financial future together.